Thickness: 0.15mm - 3.5mm, all available. Width: 600mm - 1500mm , all available. Surface treatment: chemical passivating treatment, oils, passivating oils. → cooler → exit accumulator → oiler → exit shear → tension reel. 1. Construction and building: roofings, ventilating duct; handrail; partition panel,etc. 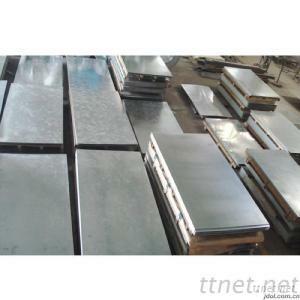 2.Further processing: coating base plate. 3. Electric appliances: refrigerator; washing machine; recorder; microwave, etc. Patent No./Country: Hebei Tuosite Import &Export Trade Co., Ltd. is a professional manufacturer and exporter for Wire Rod, and Steel Plates. It covers 110,000 square meters, founded in 1990. It is a modern company in exporting of Wire Rod, Deformed Bar, Hot Rolled Steel Sheet/Coil, Cold Rolled Steel Sheet/Coil, Hot Dipped Galvanized Steel Sheet/Coil, GI Sheet/Coil, PPGI, Hot Dipped Galvanized Corrugated Steel Sheets, Hot Dipped Galvanized Corrugated Roofing Sheets. With professional export team, Competitive price, Quickly Shipment, Good Service before sales and after Sales, so we can ensure high quality, timely shipment and competitive price. we have sold the goods to Middle East, EUROPE, North America, Southeast Asia, South Asia and so on. Our market covers more than 50 countries and regions. we are very glad to cooperate based on mutual benefit.We look forward establishing long-term business relationship with you.